The Colonial Theatre is a jewel hidden in the Berkshire Mountains of western Massachusetts. Opened on September 28, 1903 with a production of “Robin Hood”, the theater was host to many theater greats including George M Cohan, Sara Bernhardt, John Barrymore, Eubie Blake, Douglas Fairbanks Sr., Billie Burke, John Phillips Sousa and the Ziegfield Follies. The theater was designed by Pittsfield architect Joseph McArthur Vance along with J.B. McElfatrick. Its ornate turn-of-the 20th century interior has been well preserved by its various owners. Many of the theater’s performers spoke glowingly of the Colonial’s acoustics which allowed them to be heard in the further most reaches of the audience. The theater had been designed for both legitimate theater and serious music presentations but saw its final use as a movie house. Although the theater was closed in 1951, its grandeur has been protected through the years by George Miller and now his son, Steven. The care that the Miller’s took to preserve the Colonial during its conversion from a theater to the Miller’s Supply Store makes it possible to restore the theater back to its earlier grandeur. 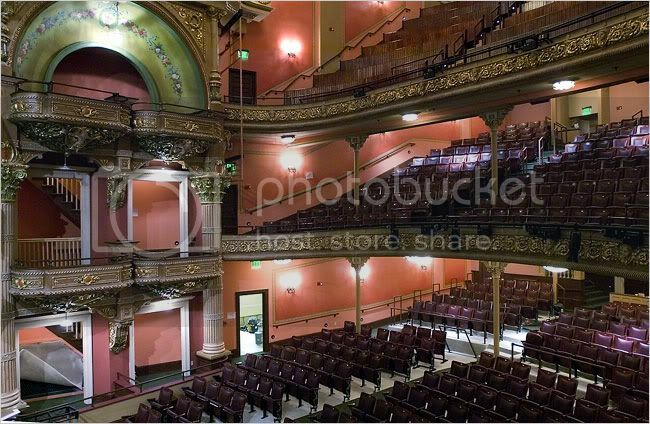 The Colonial Theatre Restoration have made this their goal and it has been completed in 2008. A nice article appears in today’s NY Times about the Colonial. Here’s a link to the online version (which includes several expandable photos), though I’m not sure how long it will last. Thanks for archiving those pictures, Ed. They’re magnificent. The MGM Theatre Photograph and Report form for the Colonial has an exterior photo dated May 1941. At that time the entrance to the theatre was on the left side of the facade, with a large marquee above. There was a one-story addition on the right side of the facade with a store in it. There is a notation on the Report that the theatre is “Closed”, but that can’t be— there is something (unreadable) posted on the marquee; there are posters in the poster cases and there are 4 lines of pennant streamers flying from the top of the marquee to the roof. The theatre hardly looks closed in the photo. Another error is that the Report says the Colonial is on “North St.” instead of South St. The Report states that the theatre has been a MGM customer for over 10 years; that it’s over 15 years old; that it’s in Fair condition and has 800 seats. Other movie theatres in Pittsfield are listed as: Capitol, Kameo, Palace, Tyler, Union Square, and Strand. The 1940 population of Pittsfield was 49,600. Status of this theatre should be changed to Open, Function = performing arts. The latest issue of Theatre Historical Society’s MARQUEE MAGAZINE features a photo and short bio of this theater in a travel feature spotlighting the Berkshires. Go to www.historictheatres.org to join THS or order back issues. Today’s Philadelphia Inquirer’s Travel section has an article “The Berkshires' show goes on” from New York Times News Service, but I can’t find online link. 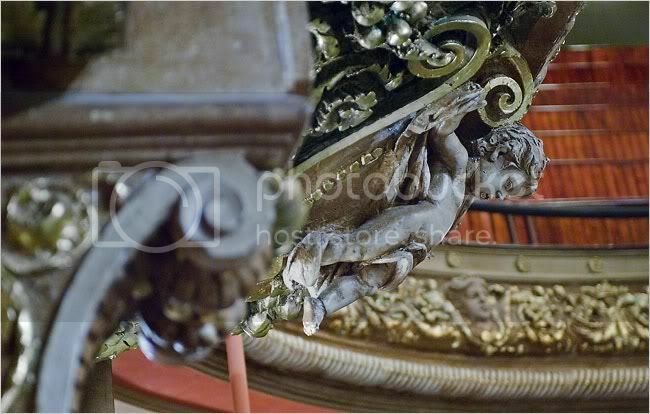 There’s a gorgeous photo of auditorium facing stage. We have it listed here as still showing movies. Does it show movies, perhaps classics, at all?